The DISSCO Smart Tub range of laundry tubs is New Zealand's largest, offering a wide range of modern options for every laundry and kiwi family. 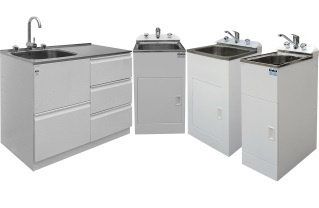 Designed and manufactured in Dunedin, they are made with precision from galvanized steel powder coated cabinets and 18/8 stainless steel laundry tubs, with DISSCO brand tapware offering a range of functions. Our DISSCO kitchenware products are made in New Zealand. From stainless steel mixing bowls "guaranteed for at least a life time" to aluminum oven trays, cakepans and pizza trays not to mention black iron commercial grade frying pans and black iron gourmet pizza trays and lots of things in between, we supply you kitchen products that perfectly combine beauty with utility. 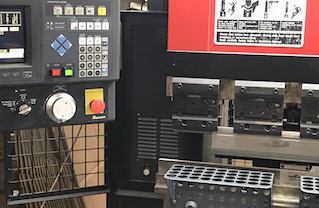 Dunedin Stainless Steel Company Ltd is proud to be designing and manufacturing in Dunedin. The DISSCO range of laundry tubs are made to the highest standards to enhance and complement any NZ home. 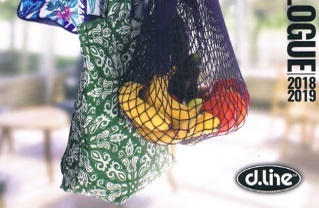 Innovative kitchenware providing quality products that offer real solutions in the home. Offering small to medium stainless steel manufacture. Is Dunedin Stainless Steel Company Ltd the manufacture fit for you?